Sub Title: Are Animals Important to Our Salvation? Matthew Priebe’s wonderful presentation of why Christian ethics must include the animals answers the question posed in the original subtitle: Do Nature and Christianity Share the Same God? and in the revised edition subtitle: Are Animals Important to Our Salvation? 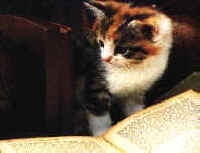 In his book, Animals, Ethics and Christianity, Priebe presents situations concerning animals and the environment that exist in the world around us, and continuously asks the question, “God’s dominion or Satan’s dominion?” His question is fundamental to the very essence of our faith in Jesus Christ, the way that He taught us to live, and the ways that Christianity is practiced in most churches today. Priebe presents the true Biblical meaning of “dominion” and the counterfeit dominion of Satan with all its pain, suffering, and death, and presents examples showing how the ways animals are treated in our food, research, and entertainment industries could not be of the dominion and kingdom of God. This little 128-page book is well documented with reference notes and other useful information. 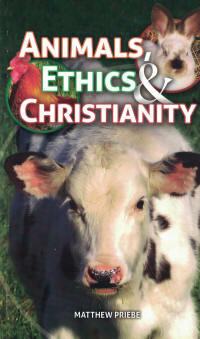 Animals, Ethics and Christianity is a must read for every Christian. Matthew Priebe is a naturalist who studies the incredible designs of God's natural world. With his wife Delise, they explore nature, looking for rare animals and plants, studing the ways they interact. Matthew's focus is animal behavior (ethology) and the complexity of design that God has engineered throughout creation. It is their goal to increase appreciation for the facilitating animals God has made and raise awareness of the high calling He has entrusted to mankind.